Chrysanthemum is the traditional Chinese herbal tea. In Chinese medicine, the chrysanthemum can protect liver, improve eyesight, calm down body heat, anti-hypertension, cure partial headache and nourish stomach. It is a very functional Chinese herbal tea. 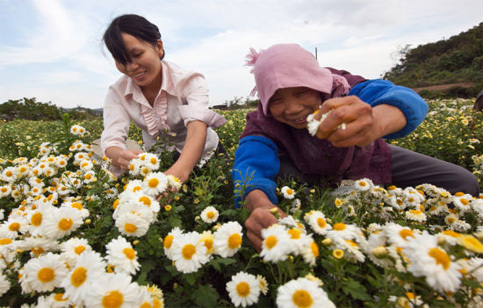 Most of the Chinese chrysanthemum are produced in Zhejiang and Anhui provinces. The harvesting season is in end of November. And it needs harvesting in the sunny days. 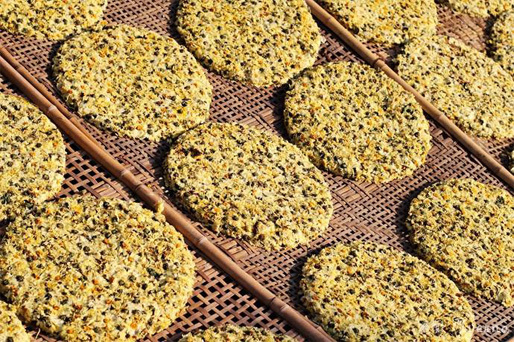 After the chrysanthemum is plucked, it will be put on the plates and sent for steam killing (Sha Qing). 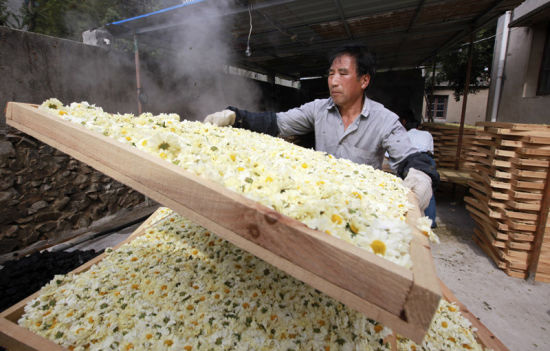 This is the most critical processing of chrysanthemum. The killing should be controlled well. 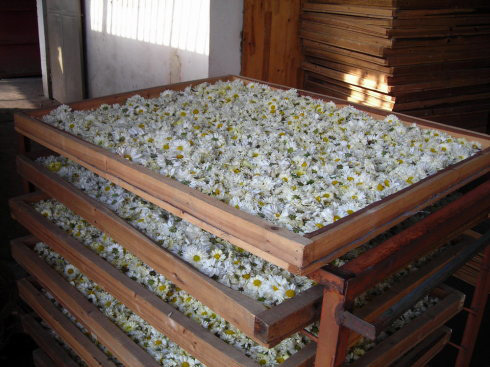 The less killing will produce Sheng Hua (un-cooked flowers). The Sheng Hua will turn to dark color after drying, due to oxidation. The over killing will produce Lao Hua (Over-cooked flowers). The Lao Hua lose most of its flavor and taste. 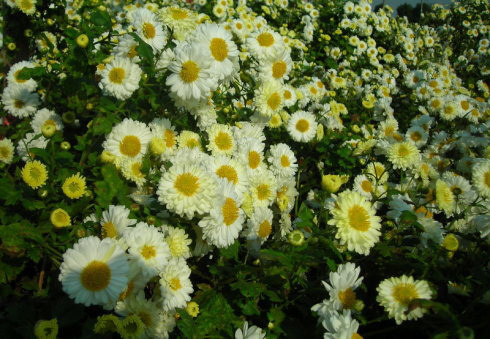 The color of chrysanthemum turn from pure white to light yellow after the killing. And they will be dried under the sun for 4-5 days. 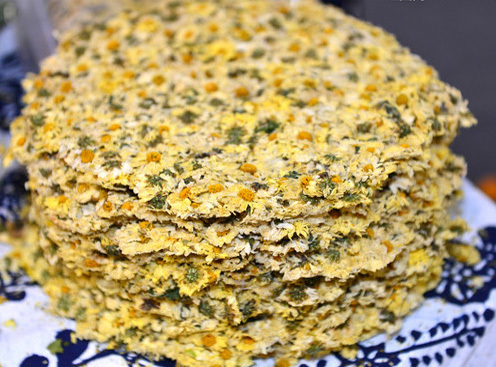 This is the dry chrysanthemum in original cake form. 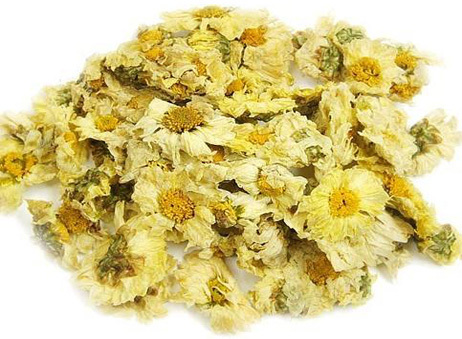 The dry chrysanthemum will undergo further refine processing. It is classified into special grade, 1st grade and 2nd grade.